What Is Statehood Day in Hawaii? And How Will It Impact My Visit? If you plan on being in the islands on August 19th, you may notice something: State government offices will be closed, as well as schools and the major universities (or maybe you WON’T notice, which is OK too!). What’s all the fuss about? It’s actually Statehood Day in Hawaii, (known as Admissions Day until 2001), celebrated the third Friday in August of each year. What is Statehood Day in Hawaii? According to timeanddate.com, Hawaii’s Statehood Day commemorates Hawaii’s admission as a state on August 21, 1959. In 1898 the United States annexed Hawaii, which was declared as a “necessary” navy base for the conduct of the Spanish-American War. During World War II, Oahu served as the command post for the US operations in the Pacific. Large portions of Hawaii were turned over for the US military bases. After the war, two-thirds of the residents favored statehood. Statehood Day was first celebrated in 1969. 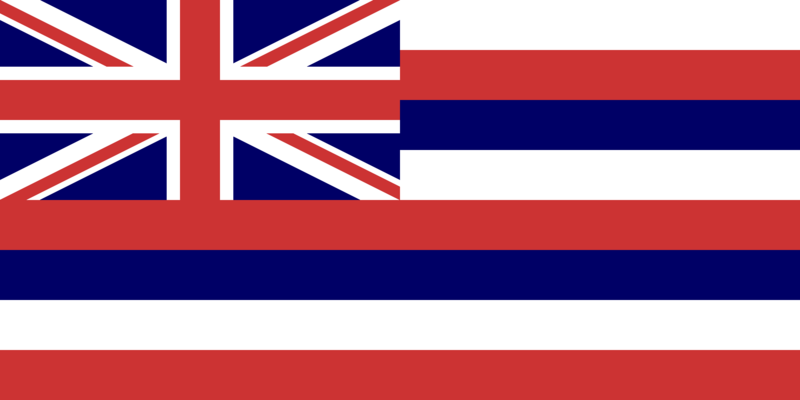 Wikipedia reports that Statehood bills for Hawaii were introduced into the U.S. Congress as early as 1919 by Prince Jonah Kuhio Kalanianaole, the non-voting delegate sent by the Territory of Hawaii to the U.S. Congress. Additional bills were introduced in 1935, 1947 and 1950. In 1959, the U.S. Congress approved the statehood bill, the Hawaii Admission Act. This was followed by a referendum in which Hawaiian residents voted 94% in support of statehood (the ballot question was: “Shall Hawaii immediately be admitted into the Union as a state?”), and on August 21, 1959 (the third Friday in August), President Dwight D. Eisenhowersigned a proclamation making Hawaii the 50th state. According to About Travel, back on June 27, 1959, a majority of voters on all major islands voted in favor of statehood. Of the approximately 140,000 votes cast, less than 8000 rejected the Admission Act of 1959. Statehood Day was first celebrated in 1969, but it was known as Admission Day until 2001. How Is Statehood Day in Hawaii Celebrated? Ever since I can remember, there has been a bit of controversy over Statehood Day. Because of the sensitive nature of the Hawaiian sovereignty movement (many Native Hawaiians believe the U.S. “illegally” acquired Hawaii, so Hawaii isn’t a state at all), some prefer that the holiday either not exist or exist in silence. A larger group of people including, but not limited to, those with Hawaiian blood organized a protest, reportedly drowning out the smaller group. While there was a lot of shouting and some name calling, the encounter was non-violent, as have been all such encounters over the past years. Each group has, historically, had what appear to be valid issues. The “Hawaiian” group felt that the choice of the Iolani Palace was inappropriate since it is a special place for Hawaiians as the former home of the last monarchs. The issue is even touchier since it was in theIolani Palace that Hawaii’s last queen, Liliuokalani, was kept under house arrest following her overthrow on Jan. 17, 1893. According to Wikipedia, Hawaii statehood was celebrated with a 7-cent airmail stamp on August 29, 1959, the date of the presidential proclamation of Hawaii’s admission to the Union. 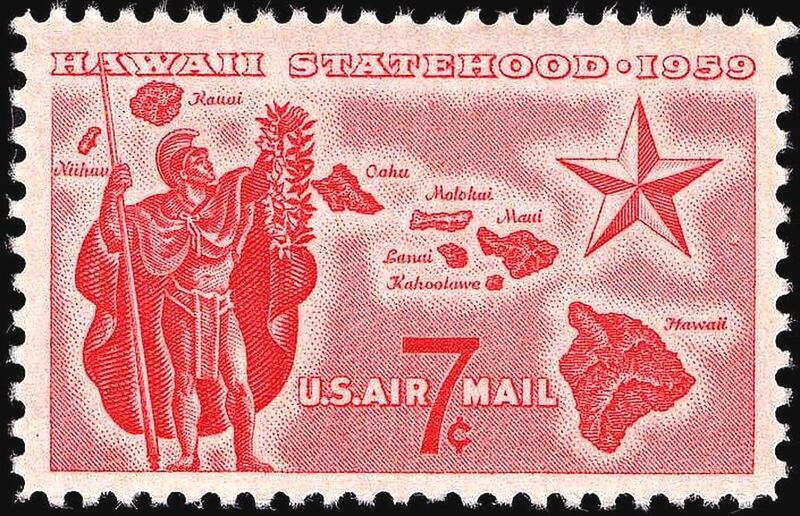 The stamp pictures a Hawaiian warrior and a five pointed star for statehood imposed on the background of a topical relief map of the islands. Still, all state government offices are closed, as are schools and major universities. So, those who work in these venues certainly have reason to celebrate! How Does Statehood Day in Hawaii Impact Visitors? It doesn’t, really. If you need something done at a state government office, you’ll be out of luck. But, otherwise, you may only notice bigger crowds at beaches and other local-visited venues. Travel and tour companies, such as Hawaii Aloha Travel, will likely be operational. If you’ve booked a Hawaii activity, such as snorkeling, surfing, or parasailing, assume your excursion will go-on as scheduled (although, it’s always a good idea to double-check). Statehood Day is still a somewhat controversial holiday in Hawaii, but it’s a holiday nonetheless. So, if you see celebrations, protests, or just a “closed” sign on a state government building, you’ll know why!